To say we were miffed with Nintendo regarding all things Wii U is an understatement. Let's face it, it wasn't cheap on release, but pure Nintendo-ites didn't mind. It transpires that we have less than ten games for the console, which is far less than we have for any other system. In fact we've kissed more girls than that, and that's saying something. OK, so when we say girls, we mean have been licked by an animal, but it's pretty much the same thing. Everyone however, seems to be loving the Switch though. Except for us. Don't mind us if we're a tad on the sceptical side. We've been burnt before. The release of a new Zelda was a good start. And although Mario Kart 8 Deluxe is unquestionably a fantastic ride, we should remember that it was first released in 2014, so isn't exactly new. 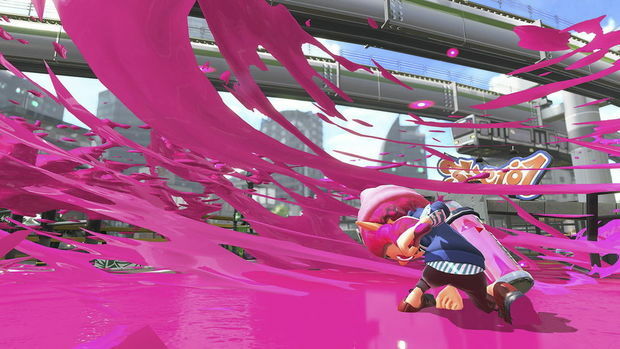 And then there's Splatoon. A new IP from Nintendo, first released in 2015. Now its sequel makes itself home on the Switch couch. But is it a welcome guest, or has it already outstayed its welcome? This really is the best thing i've bought from the shopping channel. As far as the concept of the original goes, this sequel isn't a million miles away from it. So it looks and plays eerily like its predecessor. You are part of a team of four, who battles another team of four, wielding paint guns at each other. You then fire as much paint between you, over the arena, with the team with the most paint coverage winning. To try and slow your opponents down, you can also shoot them, which means they die and have to respawn. And this is where our problem with the game arises. As much fun as it is to shoot your opponents, it doesn't really make much difference in the grand scheme of things. If you level up high enough, you can become pretty speedy swimming in the paint, so you can make up the difference in no time at all. Something else that really bugs us are the maps, or the lack of them. For the first online test, you have to endure Turf Wars until you reach level ten. Turf Wars consists of only two maps. And the levelling up process can be quite a grind; regardless of how good you are (or, dare we say it, how good you think you are! ), if you are in a team of average players, you are likely to lose. Admittedly we're not that hot at this game, but still found ourselves on teams who were in double figures for their level rating. This lead to at least ten games on the spin where our team lost. Not only that, we were actually one of the stronger players on those teams. So it doesn't seem as if the game has struck the right balance where matchmaking is concerned. And with only two maps to play on, playing can get real tedious, real quick. What's more, you can play the same map a number of times in a row, so you don't even get the opportunity to have them alternate. Crazy times. Nintendo's recreation of the parting of the Red Sea for their new title was frowned upon by many. New maps do come up once in a while, but instead of adding to the already existing ones, they replace them. So it all plays out like a video game equivalent of Groundhog Day. There are ranked battles, but they can only be accessed passed level ten. So if you're feeling particularly brave/stupid, you can waste what feels like several lifetimes grinding up to that point. One of the big new additions to this sequel however is a single player campaign. Unfortunately, this feels like a training exercise for the online game, that never seems to let up. Some ingenuity wouldn't have gone amiss. 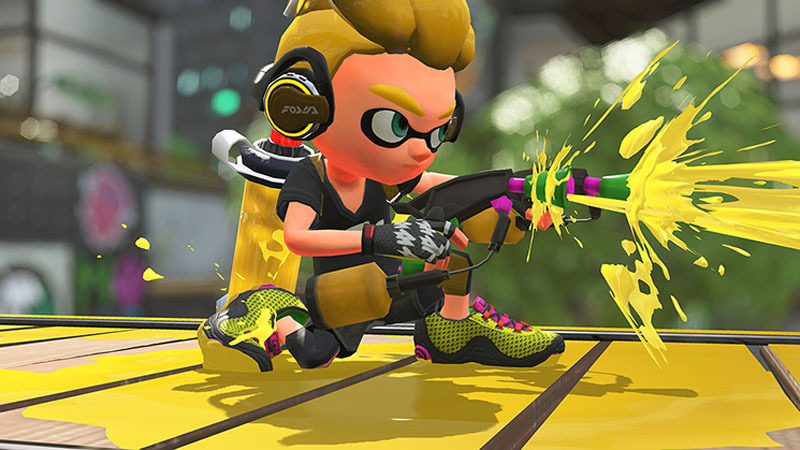 It's understandable that the Nintendo community have embraced this exclusive franchise; after all, Ninty don't make a habit of allowing multiplayer shooty games on their consoles. That said, playing Splatoon 2 is a frustrating experience. More so by the fact that there's a fantastic game struggling to splash out. It could so easily be a classic, if only it had a better matchmaking system, different sized maps, and plenty more of them to chose from. Because of all its glowing, nagging flaws, this is a game that falls some way short from being as highly decorated as it should be.